The Reporting Entity in Private-Public Accounting Harmonisation. Is Control Enough for the Local Government Consolidated Financial Statements? The European Commission initiated a discussion on the expediency of using the International Public Sector Accounting Standards (IPSAS), based on the IAS/IFRS,as a common base for harmonizing the public sector accounting systems of the member states. However, literature suggests that accounting is not neutral with respect to the economic, social and political dimensions. In the perspective of evolution of the accounting regulation outlined, balanced between accountability, with the need to represent phenomena for reporting purposes, and decision-making issues, which concentrates on the quantitative importance of the values, the paper aims to analyse the effects of the application of different criteria for the definition of the reporting entity of the local government consolidated financial statements (CFS). The Italian PCA 4/4, the test of control and the financial accountability approaches are examined. The evidence that emerged from the case studies examined identifies several criticalities in the Italian PCA 4/4 and support the thesis that the financial accountability approach is more effective in providing a complete representation of the public resources entrusted to and managed by the group, whereas the control approach better approximates quantification of the group results in terms of central government surveillance. 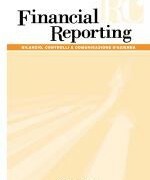 The analysis highlights the importance of the post implementation review period and the opportunity to contextualize the adoption of the consolidated financial statement in the broader spectrum of the accounting harmonization process, participating in the process of definition of the European Public Sector Accounting Standards (EPSAS). Keywords: accounting regulation, accounting harmonisation, consolidated financial statement, IPSAS, public sector accounting.